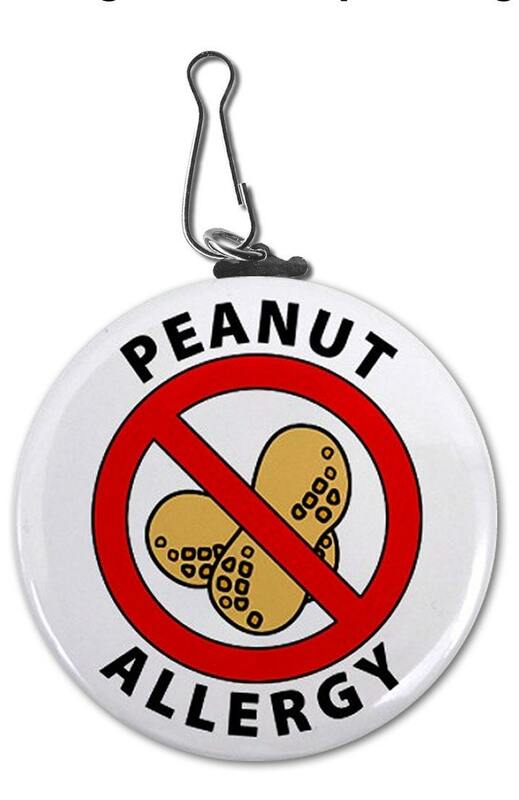 Ever since Emmett had an allergic reaction to peanuts we have been learning how to avoid them and make his environment safe. Because we're still newbies at this whole thing, we're pretty anxious when it comes to new environments. For instance, we've just spent a week at a cottage with family and had to insist that nobody ate peanut butter or other peanut and tree nut products in the house. It's really sad to cramp everyone else's style, but now that I'm an allergy parent, I really appreciate the restrictions at schools and daycares. Soon Emmett will be out in the real world and I've been looking to buy some things to help remind others of his allergies. 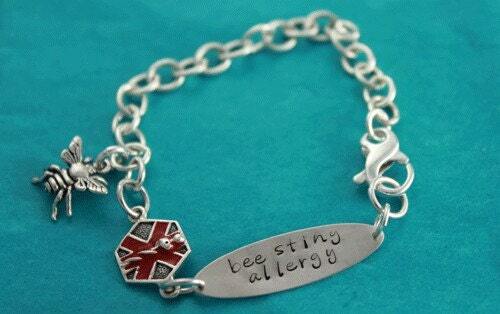 There are the usual Medic-Alert bracelets of course, but a search on Etsy has really turned up some great products! I definitely want one of these for Emmett's bag when he goes to school. It's a great reminder. 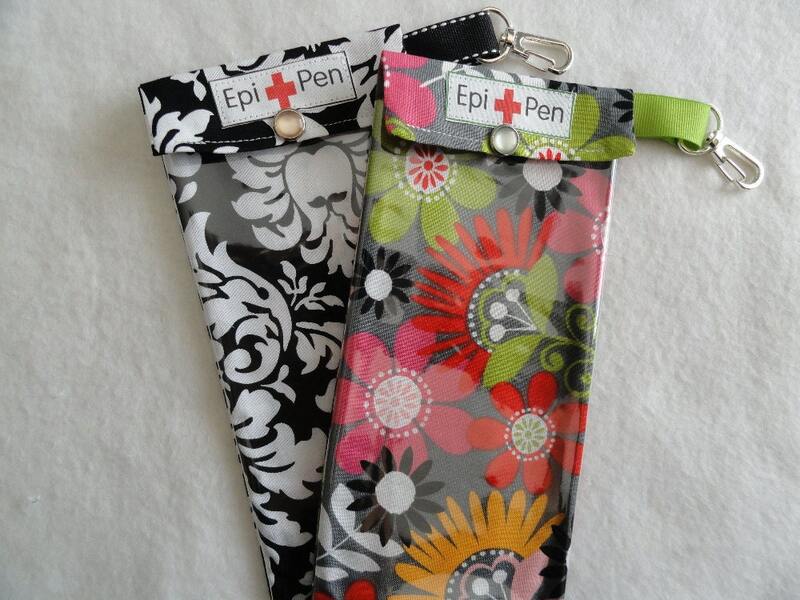 Nice EpiPen cases. What's not to like here? I'm sure you could order more boyish designs too! Here's a great idea - it's a zipper pull! Fantastic for younger kiddoes! 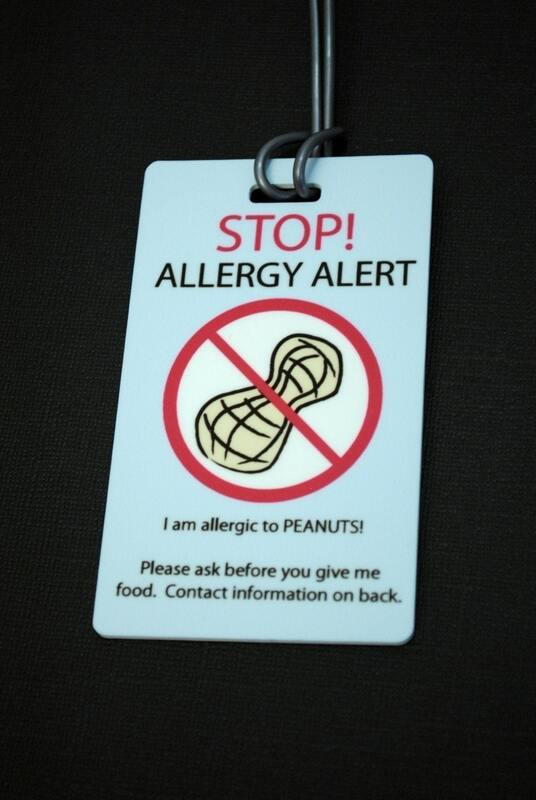 Do you do anything to warn others about your child's allergies?